Fresh pressed, high lignan, high GLA (Gamma Linolenic Acid) from borage oil. Lecithin rich with Vitamins E and C and bioflavonoids for unparalleled protection of flavor and freshness. Absolutely delicious. 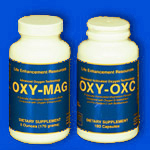 It’s the most complete essential fatty acid product available anywhere. 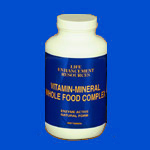 Enzyme Active - Natural Form Whole Food Complex. 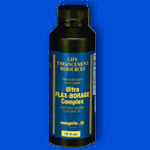 This formula goes where no other has ever gone before into the “optimum bioavailability zone” and right on through into the “optimum daily dosage zone” as well, especially in the realm of trace minerals. This is the best survival food formula available, you can actually live on it. Suggested use: 12 tablets a day for extreme deficiency (most people), 6 tablets a day for moderate deficiency (very few people), and 3-4 tablets for those people on an extraordinary diet. 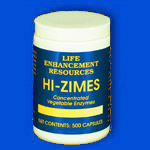 A scientifically balanced and complete natural food supplement. 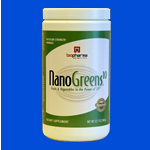 It is formulated to supply the phytonutrient based antioxidant power of ten or more servings of dark greens and brightly colored fruits and vegetables of all the colors. BioPharma has created a quantum leap in nanotechnology, the NanoSorb molecule, which maximizes absorption of the nutrients. This process creates unique nano-sized water/lipid molecules that are optimally absorbed by the body. When you cannot eat the ideal five to ten servings of fruits and vegetables a day, you can get the antioxidant power of ten servings from GREENSFirst, which contains 49 super foods, extracts, and concentrates in each 9.4 gram scoop. 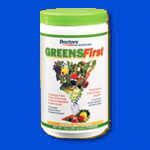 GREENSFirst is not only great for you, but great tasting too. "Hello, This is ______, and I would like ..."